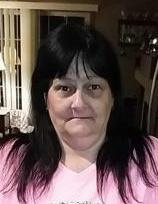 Obituary for Elizabeth I (Campbell) Strom | Brown Funeral Home & Cremation Services, Inc.
Elizabeth I. Strom, age 53, of Bedford, died Wednesday morning, March 27, 2019, at UPMC Bedford Memorial. She was born February 16, 1966 in Pittsburgh, daughter of the late William E. and Janet Ann (Fitzpatrick) Campbell. She married Donald K. Strom on Aug. 9, 1997. Survived by her husband, Donald; 5 children: Gennifer, John, Timothy, Joseph and Sarah; and 4 grandchildren: Quincy, Mya, Izzabelle and Kaidyne. She was preceded in death by her daughter, Brandi Strom; and two grandchildren, Morgan and Anthony. Beth enjoyed playing BINGO and spending time with her grandchildren. A memorial service held from 2-4pm on Friday, April 5, 2019 at Mt. Union United Methodist church, 2170 Spruce Hollow Road, Alum Bank.